If you’ve been dragging your feet or going back and forth about buying a house, 2015 might be the year to move forward with a home purchase. Buying a home has become harder over the past six or seven years — we can thank the mortgage/housing meltdown for this. Lenders tightened their guidelines with regard to credit and income, which made it difficult for many to qualify for mortgages. Some would-be buyers had no choice but to delay buying until later. Well, later has arrived. Due to recent changes in mortgage loan products and shifts in housing markets across the country, this might be one of the best years to jump into homeownership since 2008. Low mortgage rates were common in the early 2000’s, but after the mortgage crisis, rates increased to around 6% or 7%. These higher rates made it harder for many to purchase, but rates dropped again in 2012 to the 3%–4% range and breathed life back into the lending industry. In mid-2014, some mortgage experts predicted that interest rates would rise sharply in 2015, but new data suggests rates will remain low for the remainder of this year. If you want to get in while rates are low, now’s the time, especially since there’s no way to know whether rates will rise in 2016. You can purchase a home without a 20% down payment, but you’ll have to pay mortgage insurance. Lenders require this type of insurance if you don’t have at least 20% equity. 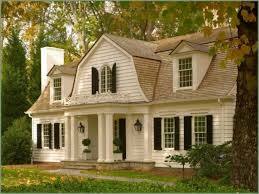 Mortgage insurance protects the bank in case you default, and it’s included in your monthly mortgage payment. It opens the door to ownership if you don’t have a large cash reserve, but unfortunately, you’ll also pay more monthly. FHA home loans isn’t the only mortgage program seeing changes in 2015. For the past several years, conventional mortgage lenders required at least a 5% down payment from buyers. If you were purchasing a $300,000 house, this meant coming up with $15,000 out-of-pocket. However, Fannie Mae and Freddie Mac announced the return of the 3% down payment in 2015 — a tremendous savings that will help many first-time homebuyers purchase much sooner. Instead of struggling to save $15,000 to purchase a $300,000 house, you can get the keys to a new place with a $9,000 down payment. Rising home prices can be a good or bad thing, depending on which end you’re on. If you’re buying, higher prices mean you’ll pay more for a property than if you had purchased last year. And as a seller, rising home values let you sell at a higher price, which might be the ticket if you’re having difficulty drumming up a down payment for a new place. Down payments are a major stumbling block for people hoping to purchase a house. If you already own a house, increasing property values mean you’re able to walk away with a bigger profit, which you can use to buy the next place. Some people prefer renting because it gives them flexibility and they don’t have to worry about home maintenance or repair. But at the same time, rental prices are unpredictable. Landlords can increase rental rates every year, and before you know it, you’re paying way more than you started out paying. Buying, on the other hand, results in predictable monthly payments (if you have a fixed-rate), and you don’t have to worry about a mortgage lender jacking up your rate. Because rental increases are inevitable, buying a house might be cheaper than renting in the long run.